$5.99 shipping paid upon redemption. Start the day off right and warm up with your cup of coffee or tea and enjoy the added warmth of loved ones smiling back at you from your drink mug. 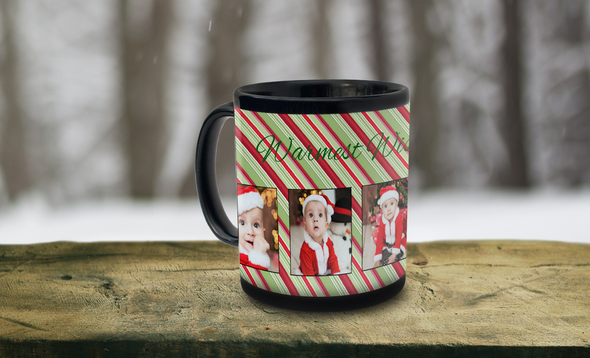 Elegant black ceramic coffee mugs with vibrant photo printing on their surface make a great gift for anyone, even yourself! Enjoy your photos on a beautiful black photo mug that can be used again and again. Add smiles to your collection of mugs with an 11oz. ceramic black personalized photo mug.